Amoo Venture Capital Advisory: Is there potential value to be extracted from a properly developed patent portfolio? Is there potential value to be extracted from a properly developed patent portfolio? I do not usually use this blog platform to offer my counterpoint to a post by one of my IP Finance colleagues. However, I will make an exception this time in connection with Rob Harrison's interesting post of yesterday--"AOL posts profit based on Microsoft patent sale" here. Rob focused on the connection between the $1.056 billion dollar sale by AOL to Microsoft for a large chunk of its patent portfolio (Microsoft then turned around and sold a large portion of these former AOL patents to Facebook) and the rise of AOL's share price to a level not seen in years. "The whole deal has been presented as beefing up Microsoft's patent portfolio in the search business and helping Facebook's patent dispute with Yahoo. Certainly the volume of patents probably means that both companies have probably a better arsenal to defend themselves in this and future patent suits. AOL's shareholders can comfort themselves in having realised value from a substantial IP portfolio built up over the past fifteen years." I have recently questioned elsewhere ("Of Medieval Marauders, Tulips and and the Sale of Patent Portfolios", here) whether the sale of these mega-patent portfolios, starting with the $12.5 billion sale by Motorola Mobility to Google, is the most graphic example of the potential value to be extracted from a properly developed patent portfolio, or the result of a number of idiosyncratic circumstances that have created a distorted market for patents, bordering on being a full-fledged patent bubble (interestingly, an item this week suggests that, contrary to previous accounts, patents may not have been the sole driver for the Motorola Mobility purchase. As reported by Washingtonpost.com on July 25th, "A report from VentureBeat highlights that Google’s acquisition of Motorola Mobility was only partially fueled by patent acquisitions, which many suspected was the main drive behind the deal. The report says that only $5.5 billion of the $12.5 billion deal went to patent acquisition. Google hasn’t provided much information on its strategy for Motorola, saying only that everyone should expect “some changes” at the hardware maker."). Circling back to the AOL-Microsoft transaction, I would make the following comments in response to Rob Harrison's observations, to try and get a better understand the nature of the $1 billion plus payment received from Microsoft. 1. How much did AOL expend over the years to register, maintain and enforce these patents over the 15-year period? 2. To what extent did AOL receive licensing fees from third parties with respect to these patents? 3. What portion of salaries and other company resources can be attributed to the invention and registration of these patents? 4. To what extent did expenditures in the patent portfolio constitute forgone investment in other AOL activities? 5. Can we determine a rate of return with respect to these patents? How does it compare with the rate of return on other AOL assets? 6. As a matter of policy, to what extent should patents primarily serve the shareholder's interests in boosting share price by a one-off enhancement of revenue within the company? 7. Is the sale of the patents in the name of shareholder value another way of saying that management did not make effective internal commercial use of its patents? 8. Is it any coincidence that sale of these mega- patent portfolios has occurred about the same time as investment banks have made a push to introject themselves into this market (and earn substantial fees as a result), see "Investment Banks Seek Business in Patent Deals as M&A Work Slows", Bloomberg.com, June 25th here? It appears that the sale of mega-portfolios of patents is not going away, especially in these difficult economic times and, with it, increasing questions about what is going on. This post by Neil Wilkof of IP finance blog is reproduced here with permission and thanks. We at Amoo Venture Capital Advisory always look to identify and bring to the fore, valuable IP within the business of our startup and early stage company clients. These clients are obviously not the likes of AOL and Microsoft - with huge war chest and large IP portfolio developed over many years - but indeed, they are all in the technology space and may one day, experience the same fate. Ultimately, we ask ourself this question: what are our client's business aims and how can IP be optimally managed to achieve those aims? 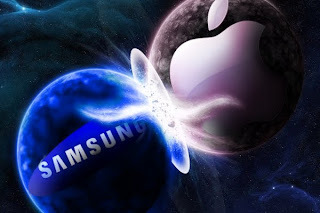 It was a very long and exhausting battle for Apple and Samsung's respective group of intellectual property lawyers. One of the most followed tech cases in history. It was silly to file infringement based on UI and slim design. Ahaa, its great discussion about this section at this spot at this online journal, I have perused all that, also check this one http://www.devsaran.com/blog/top-12-must-have-plugins-wordpress-sites so now me likewise remarking at this spot. Typically, most payday credit organizations give a cost-breakdown per 100-dollar augments that agree with the rate.